To my surprise these flew off the plate. Air-light flakes of pastry with the sweet crunch of caramelised grilled cheese. The addition of apple and fennel seeds had transformed the mouth-puckering dryness of traditional cheese straws into delicious flakey moreishness. The extra effort was well worth it. 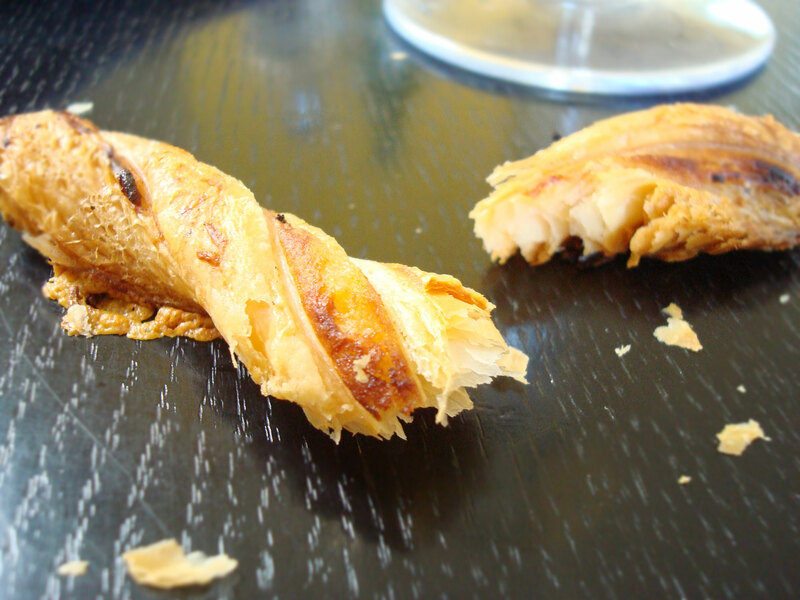 I love cheese straws, and am usually content to eat most myself, few others seeming to share my love of cold puff pastry. These ones however come with a warning – make sure you get your fair share before handing them around, because they won’t last! These are the evangelists of cheese straws. They are based on a recipe I found on Finecooking.com though I’ve made a few adjustments to save them from becoming dry and dusty. I make mine shorter and fatter than the usual long thin cheese straw and have altered the cooking time and approach. They have a lovely middle that retains a bit of body whilst the ends provides the crunch, crispy bits. Make sure you grate the cheese on a thin grater, I used a microplane style. The fine grate seems to release the cheese’s flavour. I have heard talk of this phenomenon. A thin sliver of a hard cheese is more flavoursome than a think chunk. Surface area I think. 1 cup finely grated sharp cheese – I used a mixture of a strong Cheddar and Parmesan, grating it using a micro-plane. Or use a fine grater. Melt the butter in a frying pan on a medium heat, add the apples and a pinch of salt. Cover and cook stirring occasionally until they are very tender and caramelised, about 10 to 15 minutes. If there’s any liquid left in the pan, remove the lid and cook off. Purée the apples in a blender or food processor until very smooth. Taste the purée, it should be a little tart, so adjust with salt or lemon juice. Let it completely cool. Roll out one sheet of pastry into a 12×14-inch rectangle. With the shorter side facing you, spread a thin, even layer of the apple purée over the bottom half. Fold the other half of the dough over so that the pastry measures 6 x14 inches. Transfer the pastry to a baking tray and chill for about 30 minutes. Repeat with the other piece. Note you might not use all of the apple purée. Brush one of the chilled pastry rectangles with the egg. Sprinkle half the fennel and half the cheese in an even layer on top. Sprinkle with salt and a grind or two of pepper. Gently run a rolling pin over to press the seeds and cheese into the pastry. Return to the fridge while you repeat with the other pastry. Slide one of the pastries onto a board. Using a big knife or pizza cutter, cut the dough lengthwise into long, thin strips about 1/3 inch wide. One strip at a time, hold both ends and twist slightly and place on an ungreased baking tray, spacing them about 1/4 inch apart and pressing the ends of each strip onto the tray to help hold the shape while baking. Chill until firm, about 15 minutes. Heat the oven to 225°C. 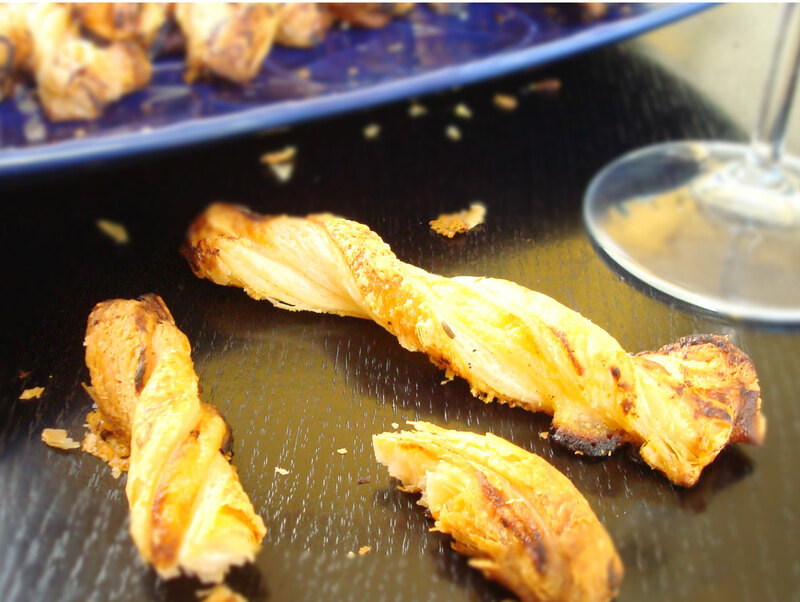 Put the cheese straws in the oven and reduce the heat to 180°C. Bake until golden, 20 to 23 minutes until very crisp and golden. Using a long metal spatula, carefully release the straws from the baking sheets. Transfer to a wire rack to cool. Are the temps supposed to be Celsius? Oops yes they were – I have changed them now. They would be very floppy cheese straws indeed cooked at such low temperatures! Thanks for your eagle eyes! Yum! I’m going to try them with some apple butter I have – I think the apple/fennel/cheese combo is awesome! Yes they are a little special – but aren’t we? 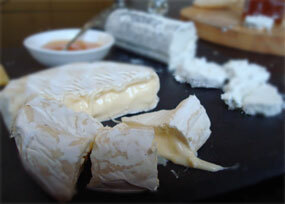 Next Next post: Beautiful Brie – raw versus pasteurised?